If you haven't had enough narco-state busting, then good news! Some DLC for Tom Clancy's Ghost Recon Wildlands dropped this week for all season pass holders, and it'll be available to buy individually for everyone else next Tuesday. The DLC, titled "Narco Road," weirdly doesn't continue with your character's progress from the main game. Instead, you're given a new character that's set to level 20 and set loose to tackle the 15 new missions. The reason for this kind of reset appears due to the shift in your employer. 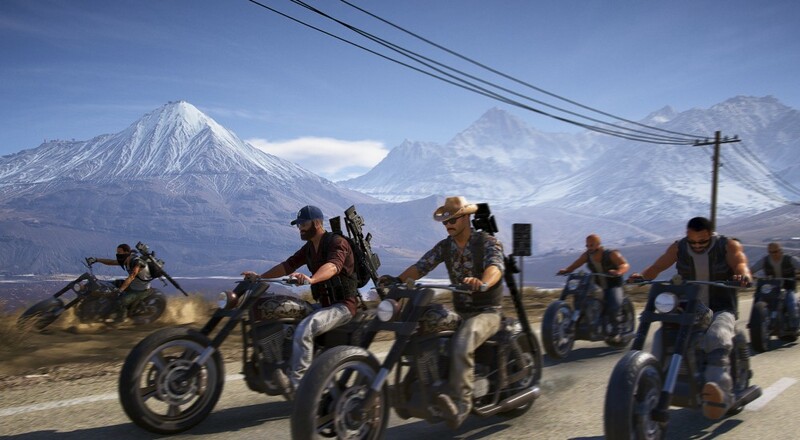 Rather than being part of an elite military strike team, you're now a mercenary working for the Santa Blanca cartel. You'll have to impress some smuggling gangs to get them on your side (apparently by doing sick stunts in cars/bikes/planes), while also battling a rival cartel. "Narco Road" is available now for all Ghost Recon Wildlands season pass holders on PC, Xbox One, and PlayStation 4. It'll be available to everyone next Tuesday, April 25, for $14.99. Page created in 0.2958 seconds.